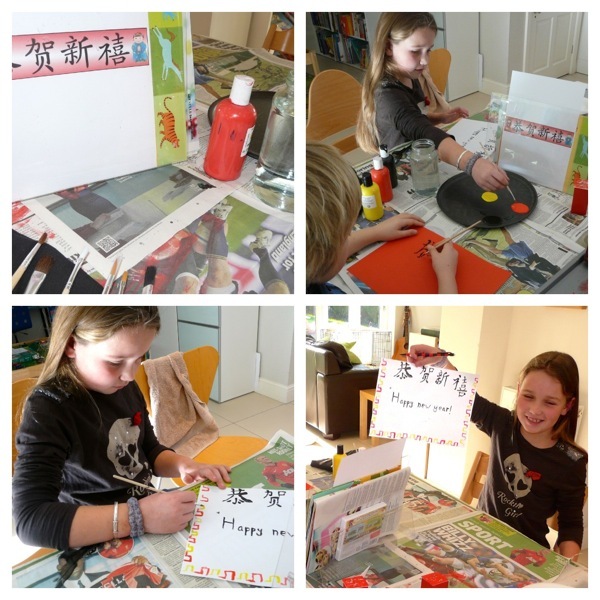 We celebrated Chinese New Year by doing a really simple, fun art project. 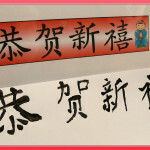 First we reminded ourselves what we learned last year about how Chinese (lunar) New Year is calculated. What Determines the Date of Chinese New Year? Chinese New Year always falls between January 21 and February 21. Within this range, there are two rules of thumb used to calculate the exact new year date. The first rule of thumb is that the new year falls on the new moon closest to the beginning of spring (in the northern hemisphere). But if the beginning of spring falls halfway between two new moons (as in 1985 and 2015), the second rule of thumb is used. The second rule of thumb is that most of the time Chinese New Year will fall eleven (or sometimes ten or twelve) days earlier than the previous year, but if that means that the event would be outside of the possible range (January 21 to February 21), a leap month is added, so Chinese New Year jumps nineteen (or sometimes eighteen) days later. 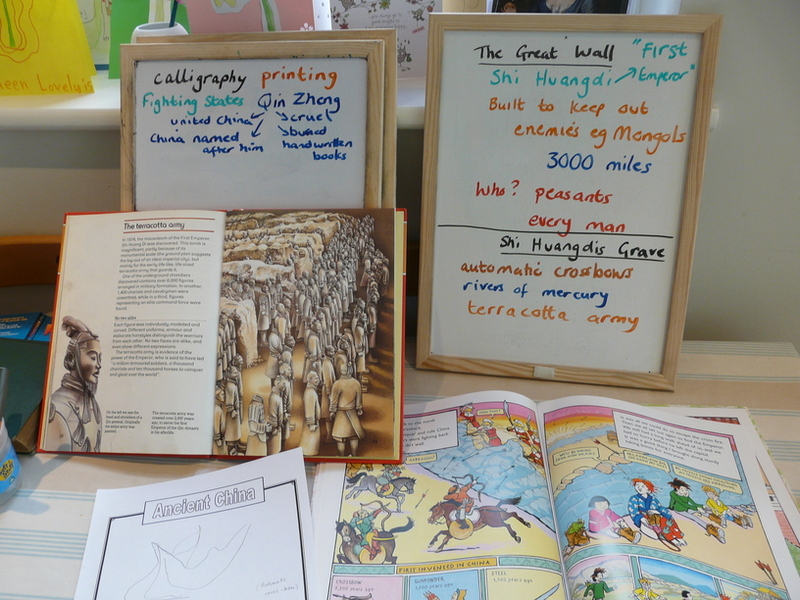 We read The Great Race: The Story Of The Chinese Zodiac, a beautifully illustrated picture book which tells the story of how Emperor Jade, the King of Heaven, holds a race to decide the order in which to name the twelve years of the Chinese calendar. 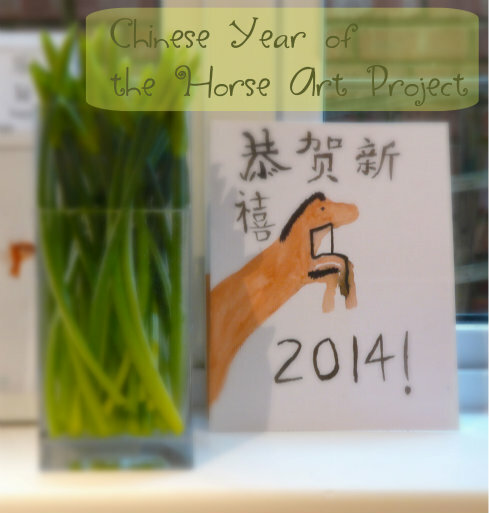 2014 is the Year of the Horse. 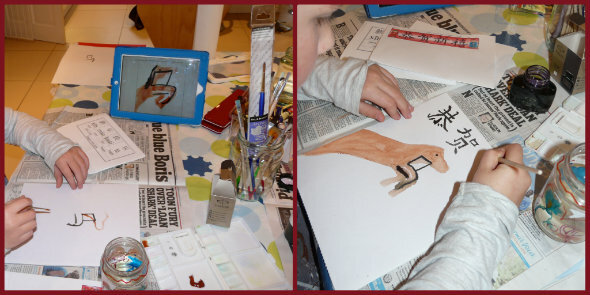 We watched Artchoo’s tutorial on how to draw the Chinese character for “horse”, and did the simple watercolour painting project there. 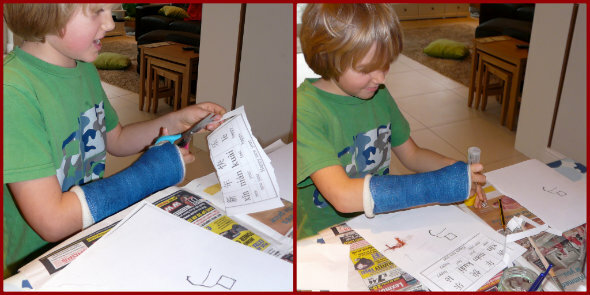 J(8) has broken his writing wrist, so he stuck to cutting and pasting most of his Chinese characters! 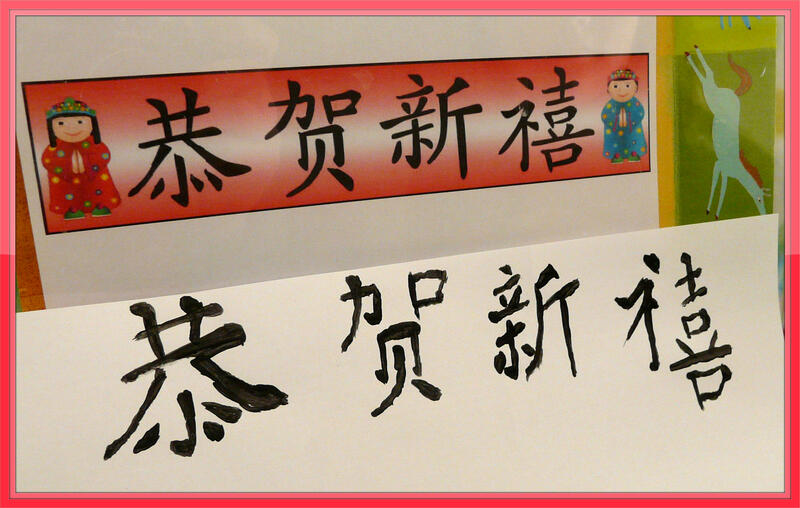 Goodbye, Year of the Snake – hello Year of the Horse! I’m excited that our study of ancient world history has brought us to China, which I know next to nothing about. I love learning alongside the children! I like knowing that, because we are following classical four year history cycles, we’ll revisit this time period again before too long, and we can spend more time on Ancient China next time around if we want to. We read aloud chapters 10 and 32 of SOTW. We love the Magic School Bus series and these spin-off “Ms. Frizzle’s Adventures” history/geography books are great too. 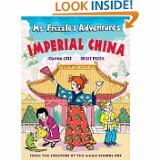 Imperial China is a fun story with lots of sidebars about Chinese inventions and customs. I picked up Find Out About Early China on our public library shelves. It’s a textbook (rather than a living book) so I haven’t read it aloud from cover to cover, but it’s nicely illustrated and has information about the key areas. We referred to it when we wanted to find out more about the clay soldiers (“terracotta army”) that were buried with China’s first emperor, for example. This was our first time notebooking! Before we started, C and I watched Debra Reed’s video instructions on her Notebooking Pages website (“Our Notebooking Story”, front page). This fired up C with enthusiasm and helped her understand the purpose and process of notebooking much better than if I had tried to explain it to her! Chapter 32 of SOTW covers several topics relating to Ancient China. 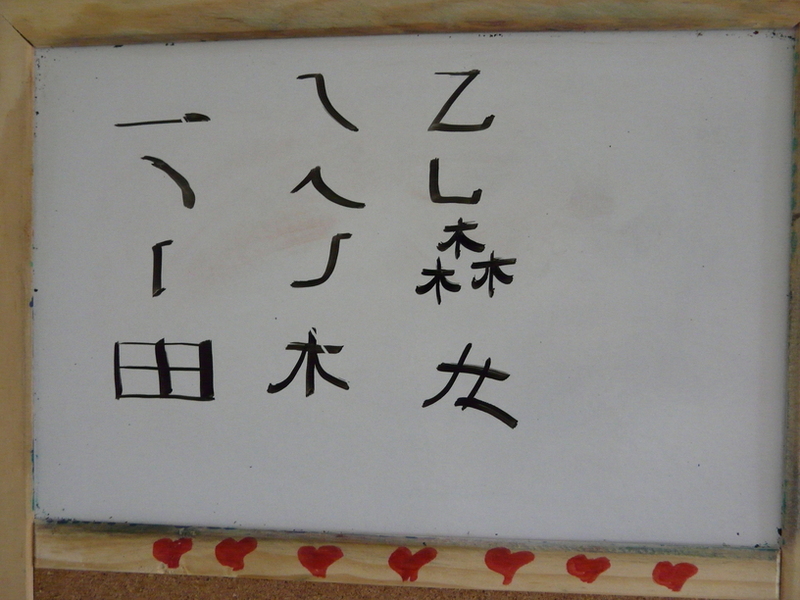 We discussed each topic (narration style, as usual) after I read the relevant section aloud. After C and J had narrated each section, I elicited from them a few keywords, using “Who?” “What” “How?” type prompts, and wrote the words on our whiteboards. We don’t normally do this step; it was a great way of highlighting names and key facts. After we’d read the whole chapter, I asked C and J what aspect of Ancient China they wanted their respective notebook pages to be about. 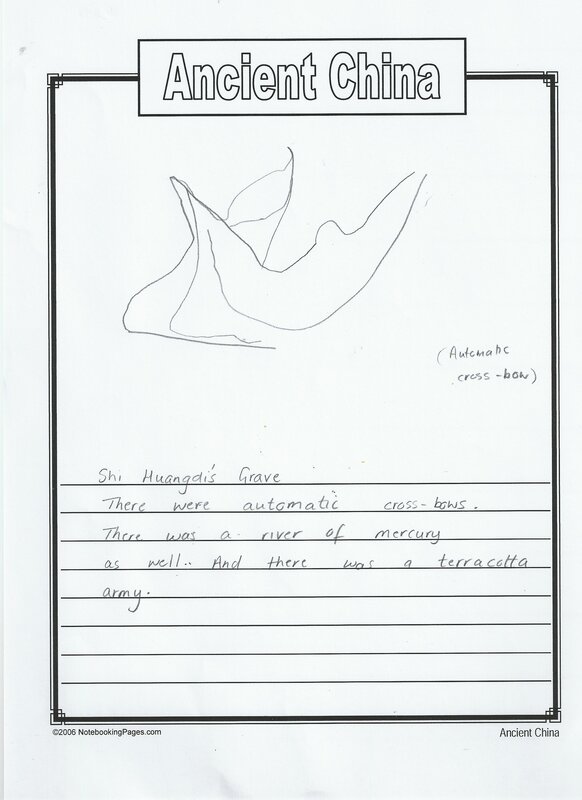 C chose to write about the Great Wall, and J wanted his page to be about the First Emperor’s tomb (I think it was the automatic crossbows that did it). C and J each selected a notebook page from Notebookingpages.com . I printed off the template and C enthusiastically hurried off to a quiet room to write her page. 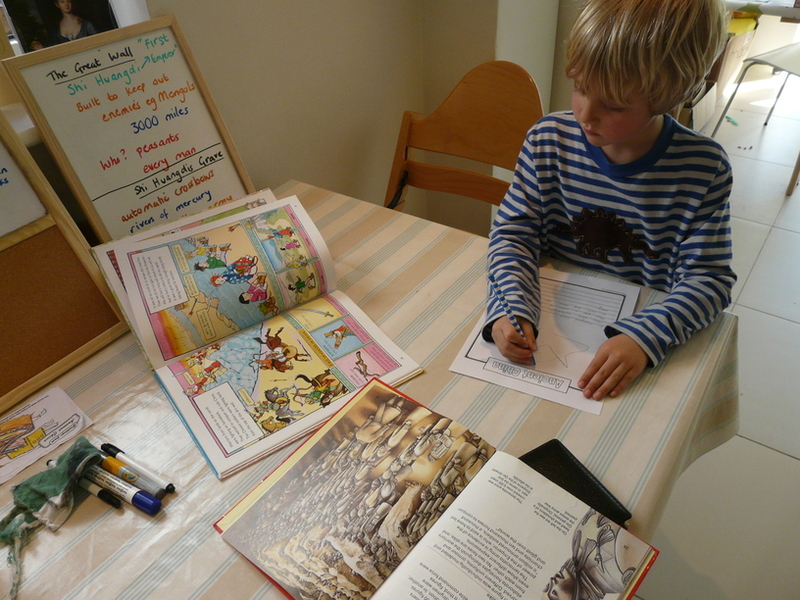 Meanwhile J dictated a couple of sentences for me to write, then added a drawing (an automatic crossbow, of course). 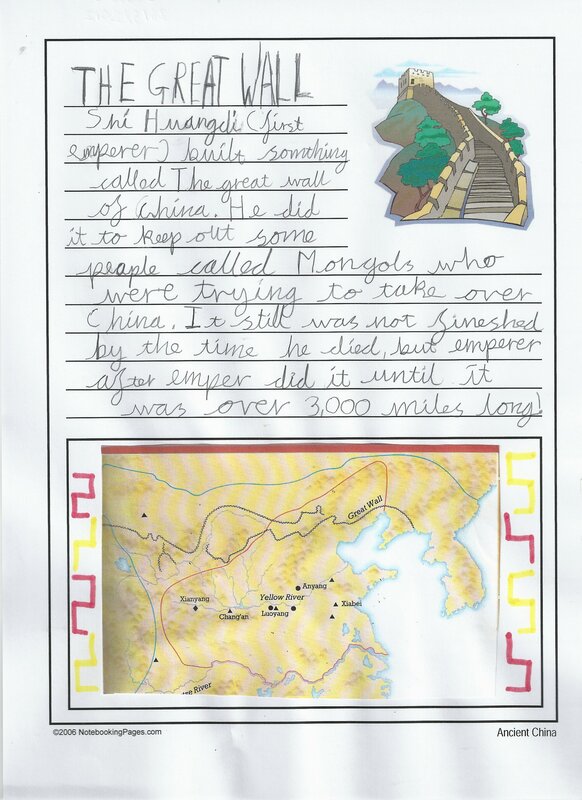 C illustrated her page with a photocopied a map of the Great Wall from Find Out About Ancient China and some hand-drawn graphics in Ancient Chinese colours. Our first time notebooking was a great success! The biggest surprise for me was how notebooking gave the children real ownership of their learning. I hadn’t anticipated how much C and J would enjoy selecting topics for their pages, and C (being older) also really liked being able to select the template and how to illustrate it. 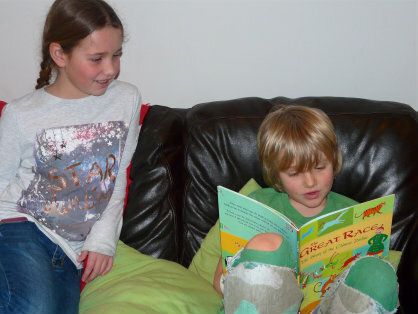 I’m always looking for the children’s input as to what they want to learn and how they want to learn it, but often they don’t know what they want to learn. Notebooking gives them choices that are sufficiently structured so as not to be overwhelming. As they mature, I think notebooking will be a useful tool in helping them on their paths to becoming independent learners. For much more about notebooking, have a look at Jimmie’s excellent Notebooking Exhibit lens and her website The Notebooking Fairy, which has stacks of free notebooking pages.